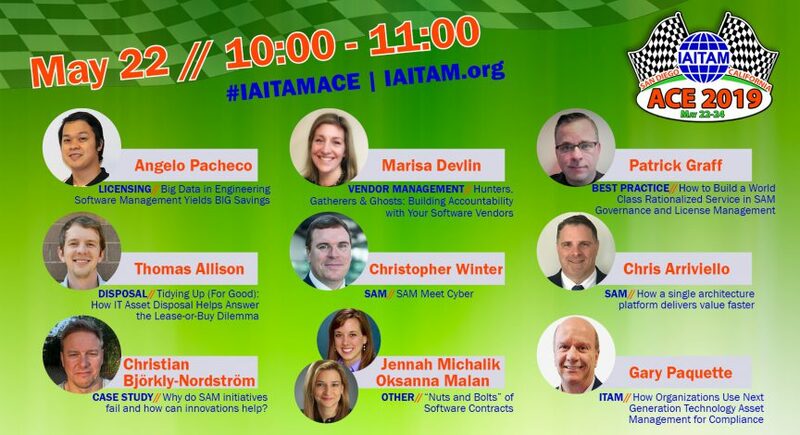 Thank you to our #IAITAMACE Speakers! IAITAM would like to thank these ITAM professionals taking the time to share their expertise at the #IAITAMACE. Join us in San Diego on May 22 from 10:00 – 11:00 AM for the following sessions. View the full ACE Schedule here.